Brian Thompson has pleaded guilty to two charges under the 1988 Copyright, Designs and Patents Act, after pleading not guilty to the charges at an earlier hearing back in January. Thompson had been found to be selling hardware pre-loaded with Kodi and add-ons that allowed the viewing of pirated material, and was advertising that fact to help drive sales. 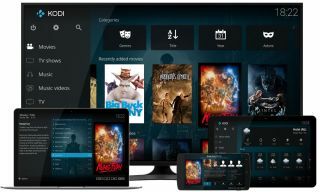 Though the scale of his operation would account for only a fraction of the number, as many as a million piracy-enabled Kodi boxes have been sold in the past two years. The merchant hadn't been the first targeted by legal action, but was unusual in that he'd insisted his innocence, in so much as he was being singled out for punishment. "These boxes are available from all over the place, not just me, but it's the downloading of software to watch channels that is apparently causing the problem," he told the Northern Echo last year, prior to his recent court appearances. "If I am found guilty and the court rules that I am breaking the law selling these boxes, I want to know what that means for people buying and selling mobile phones or laptops because the software is available for all of them." The precise reasoning for Thompson's revised stance isn't clear, beyond word that "an exchange of correspondence in the case" had occurred, according to his legal team as quoted in the Gazette Live. With little chance of walking away without some sort of punishment, it may be that a more lenient sentence was arranged in exchange for a revised plea, one in which defiance is proved to be futile for similar cases. Thompson now awaits sentencing, sending a clear cautionary message to UK sellers of boxes that take advantage of Kodi's ability to tap into pirated material (despite the software developer's intentions).